Legend says when the Founder of Islam was asked to give proof of his teaching, he ordered Mount Safa to come to him. When the mountain did not comply, Mohammed went to to the mountain, raised his hands and thanked God for being merciful. Web 1.0 was all about destination websites and walled gardens. Even in this 2.0 world I suspect most web app providers would be happy to see users drop everything else, and make their home at their site. It just won’t happen, and they know it. (Well, it may, if your name is Facebook, but that’s another story). Disclaimer: Zoho is CloudAve’s exclusive sponsor, and in an effort to remain independent, unbiased, we go the extra mile and rarely cover news from our sponsor – but I think today’s release is not really about Zoho, it’s about giving users choice, and the new, decentralized way of working with our favourite tools on the Web, glued together for a seamless user experience. Now, halfway through this post I might as well reveal what I am talking about: the availability of Zoho Gadgets. This goes a long way to making Zoho conveniently accessible from a number of places without forcing you to make choices. It will likely please the productivity-focused crowd, including yours truly whose favorite email application is Gmail, while we prefer Zoho for the Office-type applications. Mix and match as you wish now! The image below shows my Gmail account with sidebar gadgets for Google Calendar and Zoho Docs. I’ve also added Zoho Tasks, since just like Stowe, I found Gmail’s own task manager quite useless. Zoho’s relationship with Google can be best described as coopetition: they compete but also cooperate. We’ve seen Zoho Gears-enabling their apps before Mother Google did theirs; Zoho now accepts sign in with your Google Account credentials (as well as Yahoo); Zoho Creator expanded Google Appengine’s reach… and the list can go on. Zoho CRM users may have noticed that Zoho Mail is now integrated into their app – and I would not be surprised if one day Gmail-users had a similar capability. It’s an open world. Those who try to force users back in walled gardens die, those who allow us to mix and match have a chance to thrive. Incidentally, these will be some of the principles discussed – in deep technical detail – at the upcoming Glue Conference, of which CloudAve is Media Sponsor. So if you’d like to join us there, feel free to use our discount code spkr09 to get $100 off the registration price. See you in Denver. This is perfect timing for me, as I’m just now learning about Google Sites and Zoho, and feeling ‘safe’ with Google, but needing the capabilities of Zoho Creator and DB/Reports. Zoho didn’t enable the ability to “create your app on zoho creator and deploy it on Google App Engine” until December 2008. 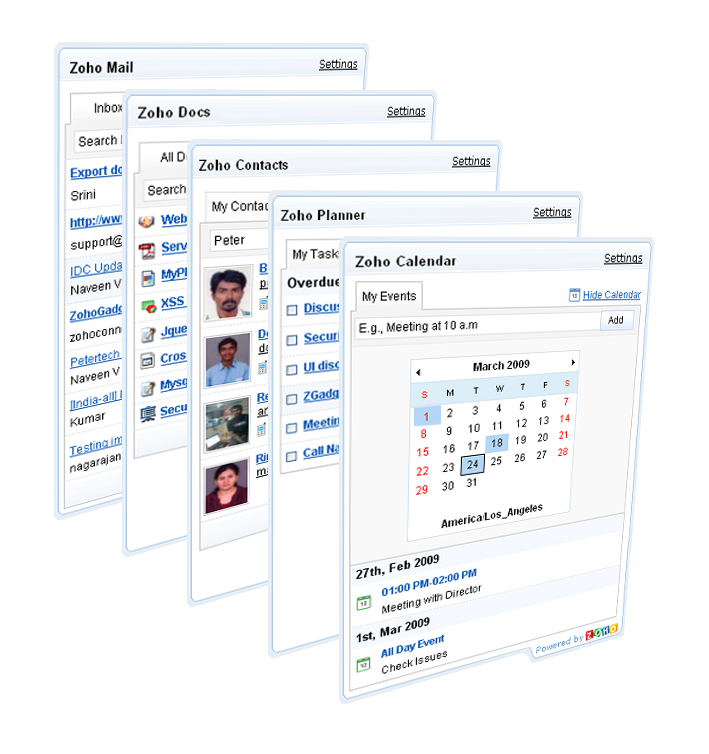 How did you accomplish your input and list view screens in your Web Forms Gain Popularity post from February 2008?